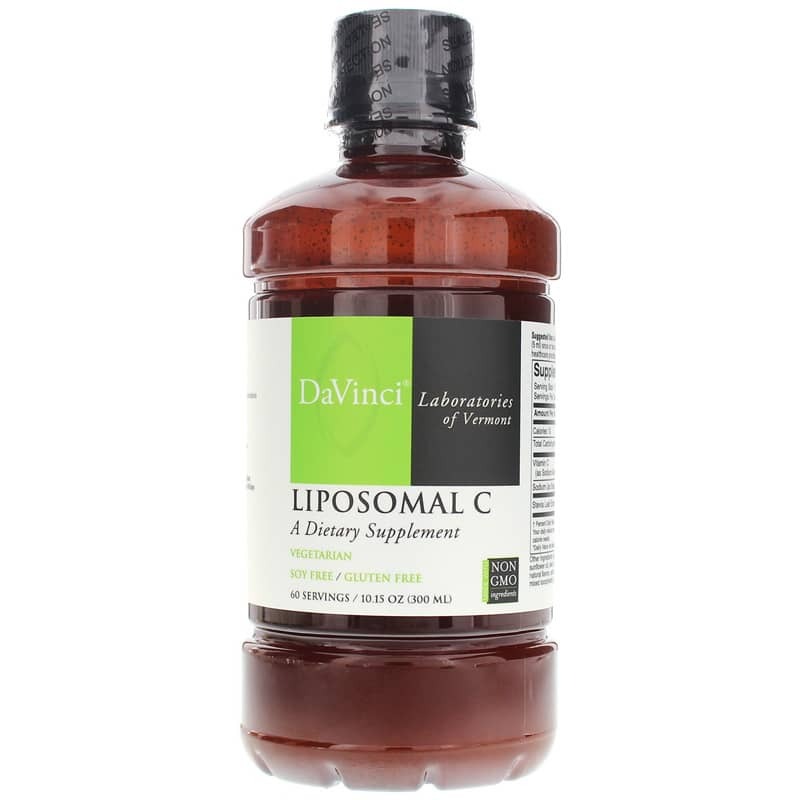 Liposomal C from DaVinci Laboratories of Vermont is a vegetarian liquid vitamin C supplement in liposomal form. Vegetarian, gluten free and soy free. Provides 3 forms of vitamin C.
Vitamin C or Ascorbic acid is water soluble and an essential nutrient for humans. It acts as an antioxidant by protecting the body against oxidative stress. When there are more free radicals (reactive oxygen species, ROS) in the human body than antioxidants, the condition is called oxidative stress. Oxidative stress can lead to many health challenges. Vitamin C is also a cofactor in at least eight enzymatic reactions including several collagen synthesis reactions. Vitamin C is found in high concentrations in immune cells, and is consumed quickly when the immune system faces a challenge. Other Ingredients: glycerin, purified water, sunflower lecithin, sunflower oil, oleic acid polyglyceride, ascorbyl palmitate, natural flavors, xanthan gum, ascorbic acid, mixed tocopherols, oil soluble rosemarinic acid, water soluble rosemarinic acid, potassium sorbate. Contains NO: GMOs, gluten, soy. Vegetarian. Adults: As a dietary supplement, take 1 teaspoon (5 ml) once or twice daily, or as directed by your health care practitioner. For milder taste can be mixed in 4-8 oz of water or juice. I love Liposomal Vitamin C. This product and will continue ordering it. This is the only Vitamin C that I use. It tastes great and is easy on my stomach. 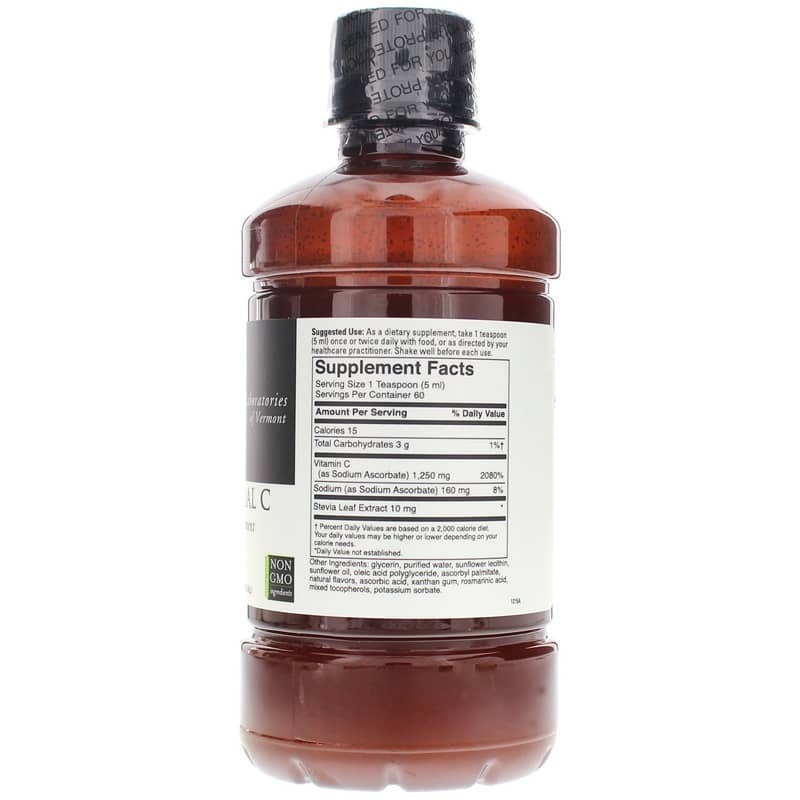 I prefer taking liquid or gel supplements, and since I take high doses of Vitamin C, this product lets me avoid taking many pills.